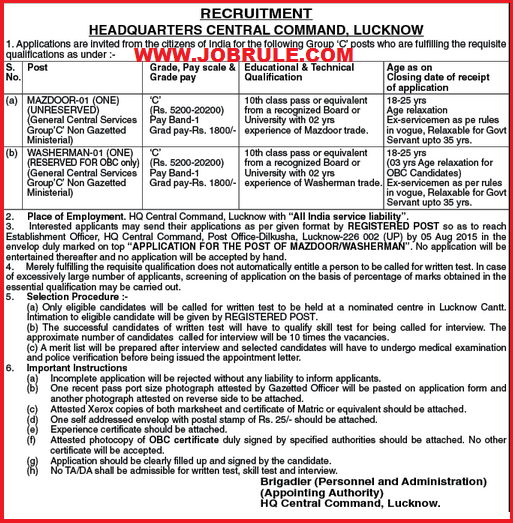 Head Quarters Central Command Lucknow (UP) invites application in prescribed application format for recruitment to the post of ‘Mazdoor-01 post’ and ‘Washerman-01 post’ on regular basis with pay scale of Rs.5200-Rs.20200 (Group-C Post Pay Band-I) with grade pay Rs.1800. Lucknow Central Command Latest Sarkari Naukri Notification published on Dainik Jagran today. 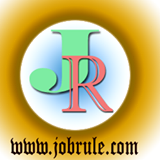 To read more details about HQ Central Command Lucknow Mazdoor & Washerman Job 2015, educational qualification. age limit , selection procedure, how to apply, important instructions and many more check above given official advertisement (picture copy. Download Prescribed Application Format below.